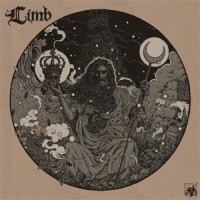 Taking their cue from the analogue sounding Sabbathed out sounds of Kyuss and Melvins (specifically ‘Stoner Witch’) dropped in the early 90s, Limb take similarly heavy vibes and slow, expertly structured and lumbering riffs to a high plateau. From the brief distortion and grinding guitar line that kicks off ‘Twelve Ghosts’, they make no attempt to hide any of their influences. The fuzz and sheer drive of their opening statement ensures those unfamiliar with Limb will instantly recognise this album as being doom/sludge metal of the highest order – that Limb are set to pummel their listeners with an almost narrow view towards a sonic range; often shifting from heavy to heavier still. At the point the vocals arrive – self-aware that they are not as important as the riff – you might expect things to fall away, but still the band maintain their intensity. Frontman Rob Hoey growls and shouts like a hybrid of Mastondon’s Troy Sanders and the mouthpiece from Brazilian stoners Son of a Witch, his delivery taking on a similarly untrained and unrestrained rasp; with only a few lines he ensures he makes them count – making himself sound hoarse in the process. Meanwhile, the rest of the band shift between slow, doom laden moods and occasional Fu Manchu-esque groove; while the change in speed is welcome, it doesn’t necessarily mean things are about to get lighter… The blend between the severely downtuned guitars and a rattling riff with clanging ride cymbal evokes a classic stoner/doom sound, akin to the grooves that filled the majority of Down’s classic ‘Nola’, a sound which suits Limb frighteningly well…and they know it. So much so, in fact, that it’s a model from which this debut full-length release rarely deviates: whether that is a good or bad thing, as always, will be solely down to personal taste.